Experience Chiropractor, Specialist Doc. Ray Kaminski Top Chiropractic Physician, 10 Best Chiropractors Listed, Dr. Ray of Health Choice Chiropractic Center, Clinic Family ChiropracticClinton Township Chiropractor serving Metro Detroit Mt Clemens, Harrison, Macomb, Shelby, Chesterfield, Sterling Hts, and Utica; has been helping patients with pain relief or neck, shoulder, back, leg, hip, leg, arm hip, headache auto accidents, work, sports injuries, and many other spinal related conditions with much success for over 25 years. Dr. Ray Kaminski Clinton Township Chiropractors has been helping patients with many conditions for over 25 years with great success. Doctor Ray has been voted Top Doctor by his peers Hour Detroit Magazine for 2012 and 2017. 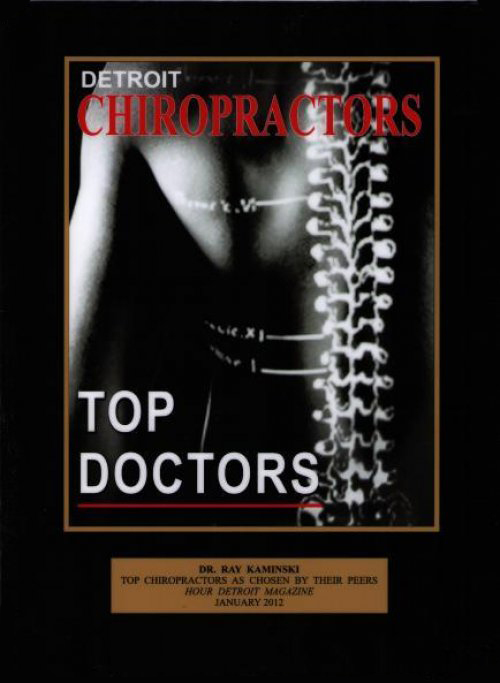 Doctor Ray is one of the best Chiropractors in Michigan, Macomb County. Please visit other section on Conditions or any other area of our website DrRayChiro.com. If you have any questions pertaining to natural chiropractic health care and our individual and family lifetime wellness care, please feel free to call our office at 586-286-1100, and we will be happy to assist you. Please share our website with your family and friends www.DrRayChiro.com.